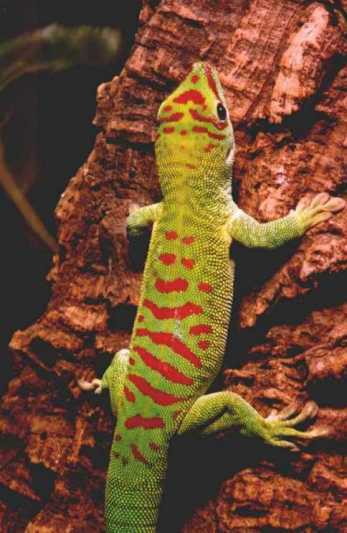 After working with several species of Phelsumas over the years, I always come back to my first love, phelsuma madagascariensis grandis, the Giant Day Gecko. They are beautiful, hardy, and breed readily. 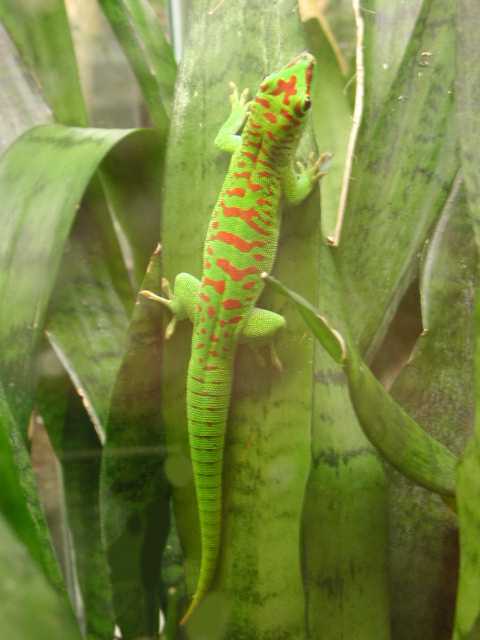 In 1997, I acquired this 2 year old male from a local show, displaying more red than I had ever seen on a grandis. 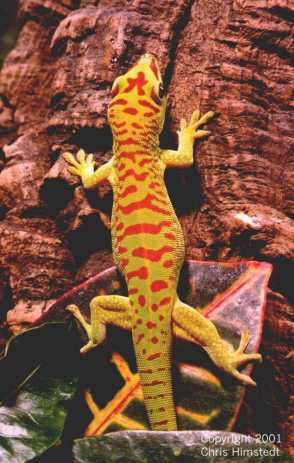 This was described by Bill Love in the February 2001 issue of Reptiles magazine as hypererythrism. I bred him to a ho hum female, with spectacular results, even in these two different female offspring! Through generations of breeding, outcrossing with unrelated animals, several patterns have emerged within our bloodlines. 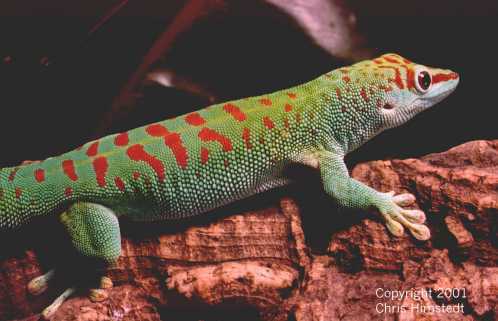 One, as seen in the previous females, show more red on the head, more spotting on the back with large spots on the center and smaller spots on the sides. 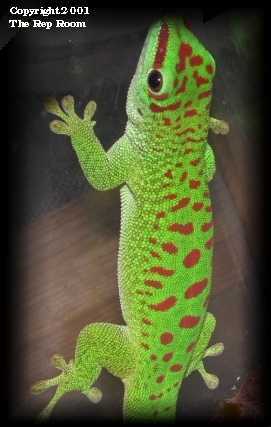 This male was hatched in 1999, from a daughter of my original CRIMSON male, outcrossed with a spectacularly marked male. The blue color intensified with sexual maturity. Every generation just gets better. 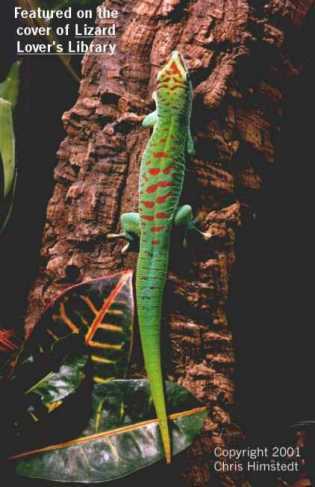 It is unusual in normal grandis for the females to outclass males with coloration. 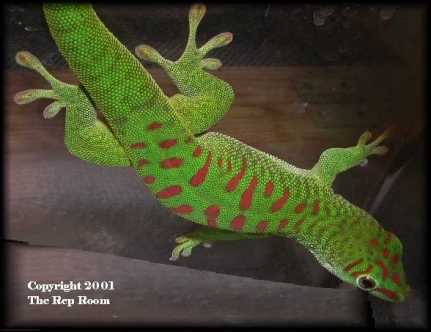 This is the norm for any of the CRIMSON or BLUE BLOOD lines, as seen below by the above shown male's daughter. 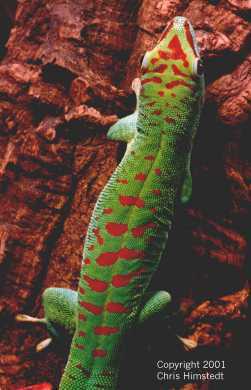 Many folks ask if these geckos will keep their red as they mature. 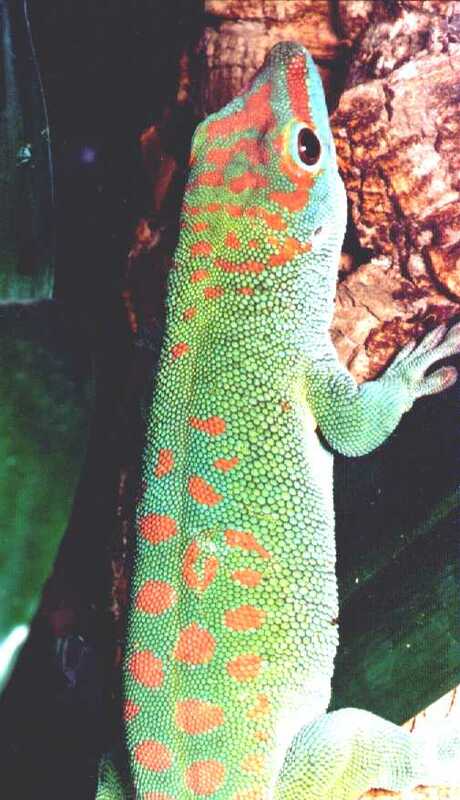 Here is the same female Crimson all grown-up. Judge for yourself! 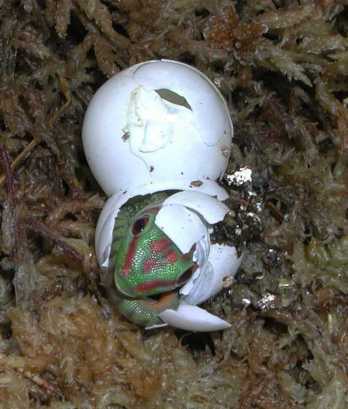 Unfortunately, so far the blue coloration is seen only in the male offspring.